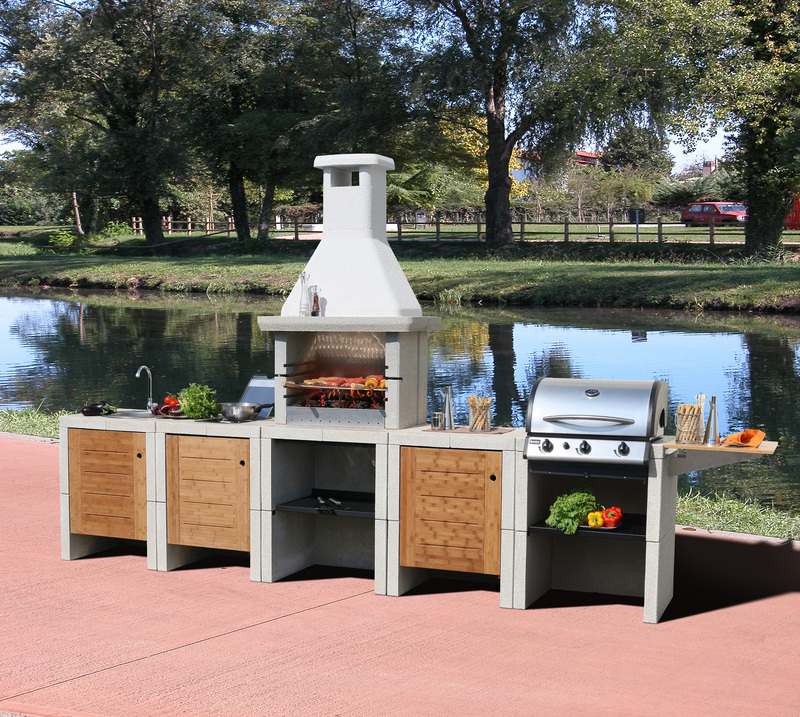 Get the BBQ you've always wanted! Get the BBQ you’ve always wanted! Alfresco eating has become more popular then ever before, and the day of the lowly disposable barbecue is making an exit as we aim for seating and dining areas outside that look as good as those inside, bigger and better barbecues and cooking ranges, and even outdoor kitchens for those dedicated to eating and cooking al fresco. Outdoor living is booming, despite the unpredictable climate, and Britons spent over £7 billion last year on barbecuing. 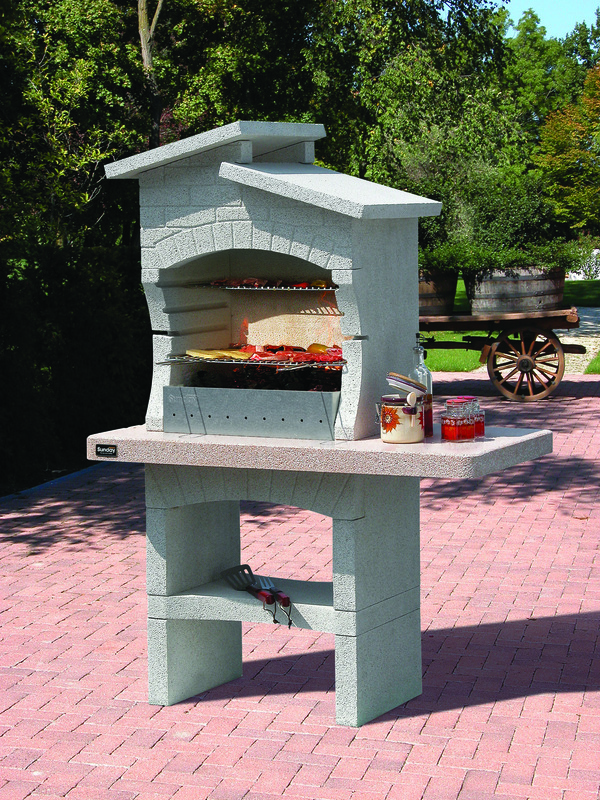 living products to suit every style and size of garden and price point. The range offers something for everyone from compact barbecues to capacious wood burning ovens Big K’s stunning collections includes masonry barbecues, stone barbecues, chimney barbecues, concrete barbecues, brick barbecues, Kamado Joe grills, wood burning ovens (also known as pizza ovens) and outdoor cooking ranges, fired by traditional style charcoal cooking. The product range delivers supreme quality using only high quality stone manufactured from beautiful marble grains and stunning crystal polished finishes giving the surface a wonderful glossy and smooth appearance. Natural coloured barbecue made of marble granulate with peach-coloured extended table top for self-assembly. 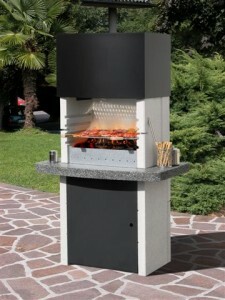 The barbecue has an integrated spit holder and comes complete with fire bricks, “Easy Fire” aluminium alloy plate for easy fire lighting, adhesive, warming grid and chromium-plated grill, adjustable on four levels. Can be fired with charcoal and wood! Easy assembly with adhesive – no paint required. Natural coloured barbecue for self assembly made of marble granulate with a large “salt and pepper” table top in high quality CRYSTAL polished marble finish. Hood in lacquered steel. Storage area for tools and charcoal with a black metal door and shelf. The barbecue has an integrated spit holder and comes complete with “Easy Fire” aluminium alloy plate for easy fire lighting, fire bricks, adhesive and stainless steel grill, adjustable on four levels. 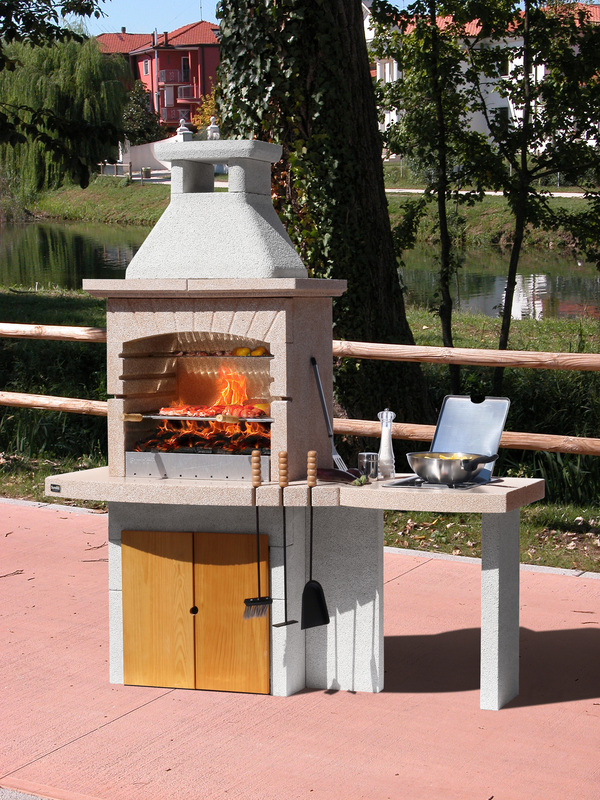 Natural coloured barbecue made of granulated marble with interchangeable side table and storage cupboard with wooden doors for self-assembly. Worktop in high quality CRYSTAL polished marble finishing. Side table equipped with an integrated gas cooking unit. The barbecue has an integrated spit holder and comes complete with fire bricks, “Easy Fire” aluminium alloy plate for easy fire lighting, adhesive, warming grid and stainless steel grill, adjustable on four levels. The table top has an integrated holder for a 3-piece cleaning set.